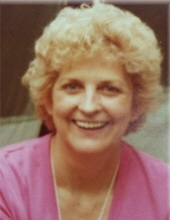 Phyllis Eastin Clendaniel, , age 87, of Lollie Drive, Williamsburg, Kentucky departed this life on Saturday, March 30, 2019 at Baptist Health in Corbin, Kentucky. She was born on October 12, 1931 in Williamsburg, Kentucky to the late William Columbus Eastin and Lenna (Collins) Eastin. She was also preceded in death by her husbands, Homer Ball and William Clendaniel and her sisters, Dorothy Eastin West, Margie Ann Eastin and one grandson Richard Joshua Ball. She is survived by three sons, R. Steven Ball (Sarah) of Coral Springs, Florida, Richard Lee Ball of Williamsburg, Kentucky and David Wayne Ball (Tia) of Tamarac, Florida; seven grandchildren, Savannah Ball, Gabrielle Ball, Melissa Stockton, William Brandon Ball, Reba Ball, Jana Ball, and Tessa Ball; three great grandchildren, JB Lamb and Lucas and Collins Stockton; brothers and sisters, John Dudley Eastin of High Point, North Carolina, Warda Eastin West of Williamsburg, Kentucky and George Eastin of Maryville, Tennessee; several nieces and nephews; and a host of other family and friends to mourn her passing. Visitation will be from 10:00 A.M. until the Service hour on Saturday, April 27, 2019 at Croley Funeral Home. The Memorial Service will be at 11:00 A.M. Saturday, April 27, 2019 at the Croley Funeral Home Chapel. To send flowers or a remembrance gift to the family of Phyllis Eastin Clendaniel, please visit our Tribute Store. Guaranteed delivery before Phyllis's service begins. Guaranteed delivery before Phyllis's interment begins. "Email Address" would like to share the life celebration of Phyllis Eastin Clendaniel. Click on the "link" to go to share a favorite memory or leave a condolence message for the family.